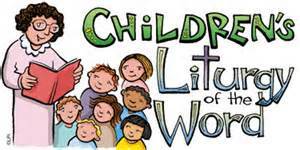 Liturgy of the Word for Children (LOW): This program is for children in preschool through 1st grade. It allows children to learn about the Sunday Gospel and readings at their own pace and their own level. It is held from 10:30 am-11:00 am on Sunday during Mass from September – May. Religious Education/Faith Formation: This ministry is designed to catechize the children of the parish in K-8th grade who do not attend a catholic school. From September – April students attend class each Sunday from 9 am – 10:15 am.